What role can regions and municipalities play in meeting a country’s climate commitments? This question was put on the table in a recent meeting on subnational climate action in Côte d’Ivoire, which was co-organized by the United Nations Development Programme (UNDP) NDC Support Programme, the NDC Partnership, and the Assembly of Regions and District of Cote d’Ivoire (ARDCI). ARDCI is an association that represents local elected officials from the 31 regions of Côte d’Ivoire and the two autonomous districts Abidjan and Yamoussoukro. Cote d’Ivoire’s subnational governments have responsibility over a wide range of sectors in their regions and municipalities, including land-use planning, economic development, transportation, environmental protection and natural resource management, public health, education, tourism, water, and sanitation. On the environment specifically, local governments are tasked with the design and implementation of environmental and natural resource management plans for their regions, the creation and management of protected forest in the region, and the management of household waste. ARDCI has been actively engaged in helping the country address climate change issues. For instance, the association sends a delegation to the annual climate negotiations and participated in the Climate Summit for Local and Regional Leaders in 2016. In the run-up to COP21, ARDCI hosted the Summit of African Cities and Regions for Climate during which locally-elected officials committed to put aside one percent of their budget for a new climate fund. However, this and many other pledges made by ARDCI in favor of climate action have not come to fruition, leading us to examine what bottle necks exist for subnational climate action. Regions are affected by climate change differently and therefore the level of understanding of the NDC differs from one elected official to another. In the Grand-Bassam Department for instance, the main issue is coastal erosion which forced the local government to get involved in the NDC debate. On the other hand, in the Bere region the concern is forest cover where forest resources are also a major source of livelihood. In Bere, the local government is aware of climate change but does not know how to reconcile it with economic development. Local governments face a scarcity of financial resources. Even though regulations stipulate that the central government should provide technical and financial resources to sub-national governments to manage their territories, only limited financial resources are transferred. For instance, from 2011 to 2015 the funds allocated to territorial collectivities were only 2.08 percent of the national budget whereas it is usually five percent for other African countries. There is a need for a coherent development strategy for the regions. Faced with an unfunded mandate, local governments must find external sources of funding. This requires having clear development strategies in place to approach financial partners. Yet, the cost associated with developing such a strategy diverts funds from other basic needs such as schools and health centers. Local authorities have difficulties accessing climate finance. The largest climate finance vehicles channel their funds through development partners who, in turn, work mostly with central governments. Unless the central government targets a specific regional project, the chances for local governments to access these funds are slim. Even if these funds were easily accessible, ARDCI members are ill-equipped to formulate projects that meet the requirements of climate funds. providing in-depth training for the National Climate Change Program on project formulation in order to better support local governments, sectoral ministries, and the private sector on access to climate finance. 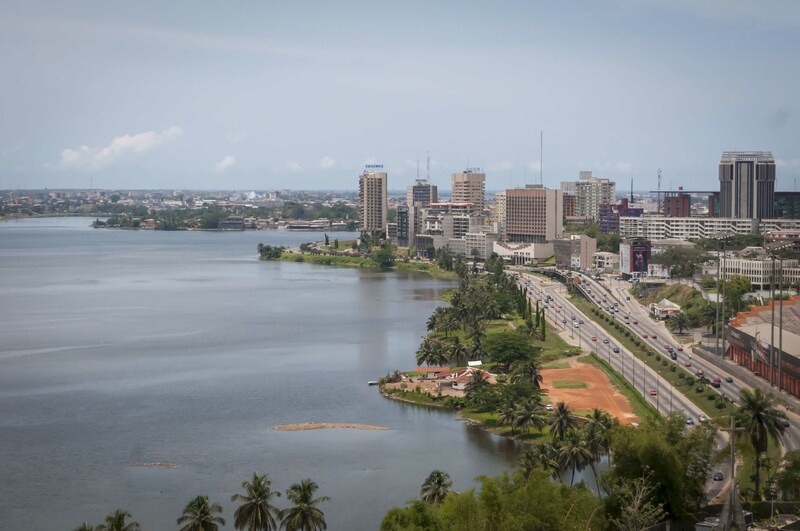 Côte d’Ivoire adopted its subnational governance system to provide balanced economic development throughout the territory, to give people more say in the development priorities of their locality, and to bring governance closer to the people governed. This system offers a solid foundation for the country to work with bottom-up solutions to addressing climate change. The West African Monetary Union (WAMU) recommends 20% of the national budget for an optimal functioning of local governments.